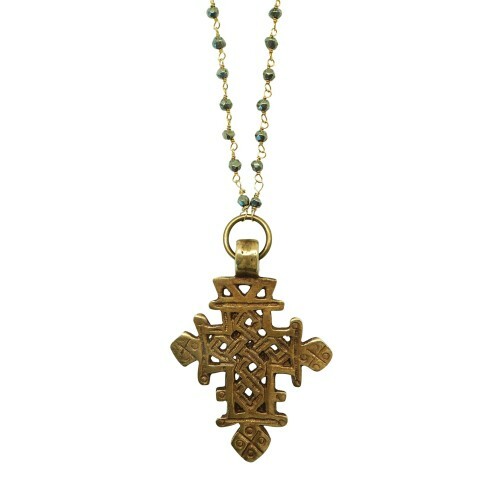 Antiqued Gold Bohemian Cross pendant. The chain is 75 cms long but you can close it at the desirable length. The Cross is approximately 7,5 cms high. 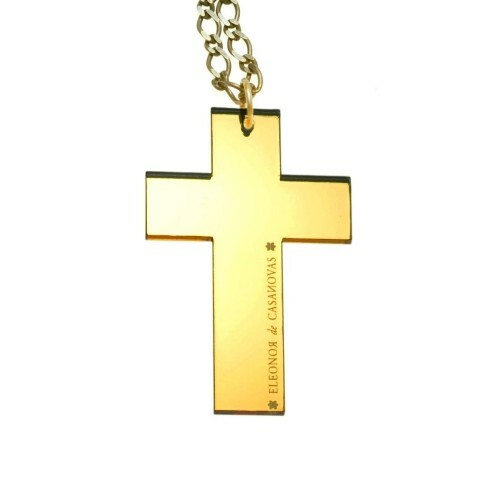 Golden Mirror Cross pendant with adjustable antique silver chain. Matching earrings available. Cross Size: 7,6 x 4,8 cm. Approx chain length: 85 cm. 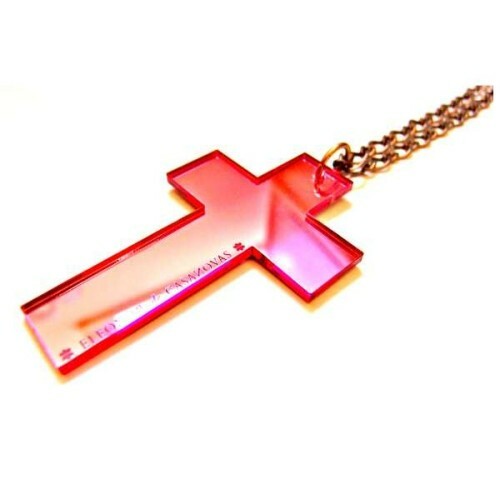 Pink Mirror Cross pendant with adjustable antique silver chain. Matching earrings available. Cross Size: 7,6 x 4,8 cm. Approx chain length: 85 cm. Silver Mirror Cross pendant with golden metal ballchain. Matching earrings available. Cross Size: 7,6 x 4,8 cm. Approx chain length: 85 cm. 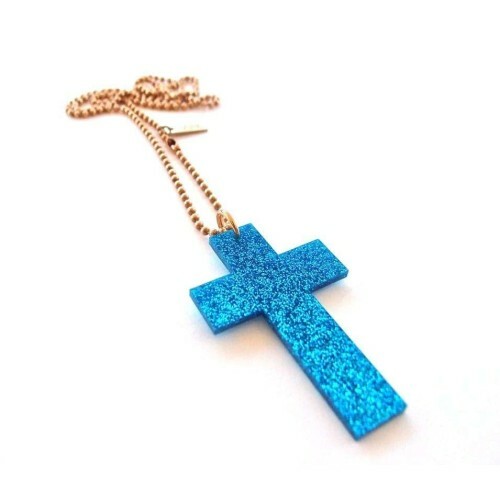 Blue Glitter Cross pendant with Golden ballchain Matching earrings and bracelet available. Cross Size: 7,6 x 4,8 cm. Approx chain length: 85 cm. 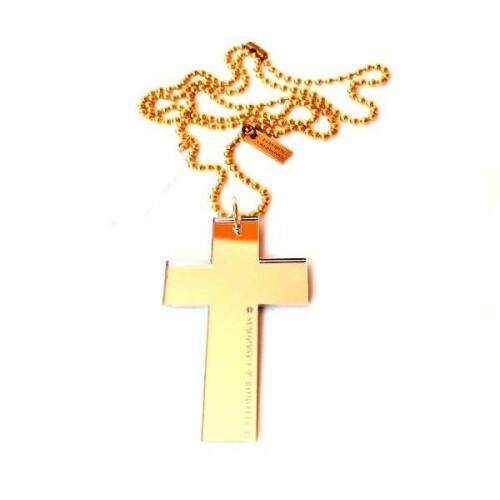 Golden mirror Cross short necklace with Golden chain. 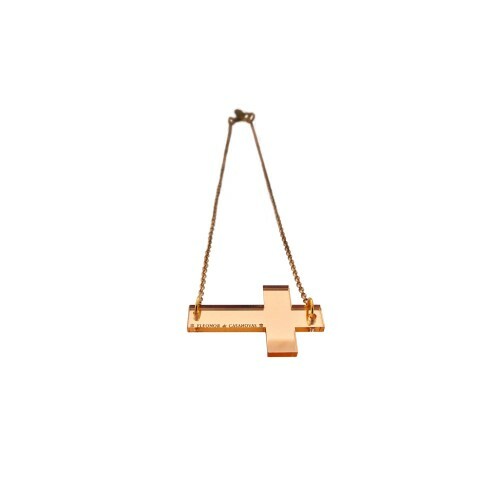 The chain measures approx 45cms and the cross measures 46mm wide and 30 mm high. Silver mirror Cross short necklace with Golden chain. 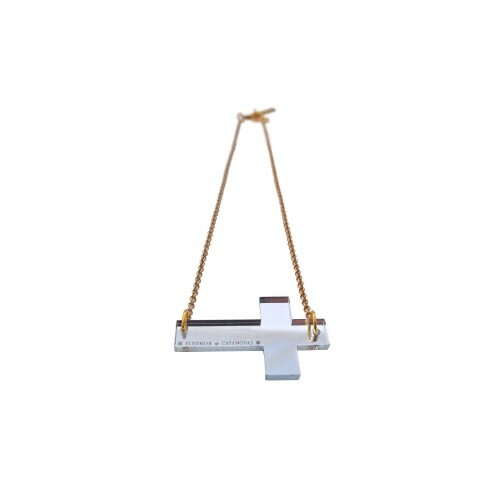 The chain measures approx 45cms and the cross measures 46mm wide and 30 mm high.